GossipWeLove | Pop Culture and Entertainment News Site: Usher & Ex- Wife Tameka Raymond BACK IN COURT Over Custody Battle & Lawyer Fees! 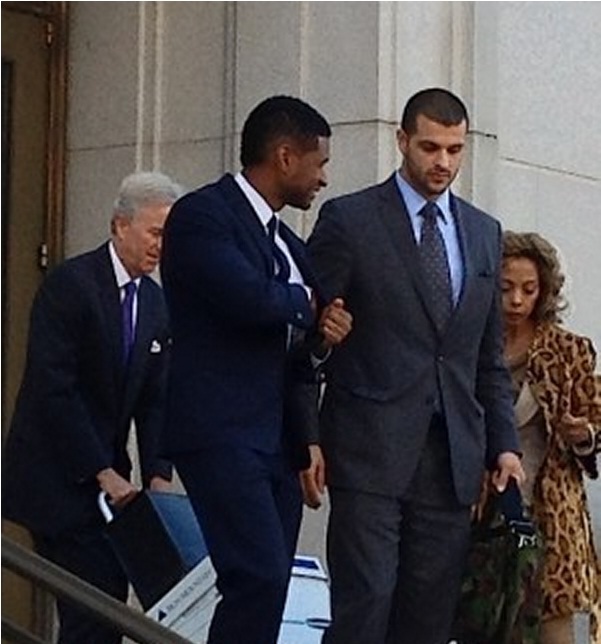 R&B singer Usher Raymond is back in court with his ex-wife Tameka Foster over Child Custody and lawyer fees. According to StraightfromtheA, The "Climax" singer (who was awarded primary custody of the couple's two young sons) and his ex-wife Tameka appeared in Fulton County courthouse yet again to hash out additional details about their child support agreement. Tameka's attorney filed two motions that allowed the original joint custody order to be stayed temporarily with Fulton County judge Tipton-Lane being asked to turn over the new trial to someone who was not "Financially" attached to Usher or one of his attorneys. However, the alleged biased judge refused to step down from the trial, so Tameka's attorney was forced to present his argument. While saying the inconsistencies with the judges ruling, was “inconsistent with the evidence presented” as well as “inconsistent with the psychological reports obtained”. With the trial lasting an hour, it was argued that Tameka's due process was violated by the judge and John Mayoue's non-disclosure.e. It was also brought to the court's attention that the singer INTENTIONALLY failed to disclose his secured position on the NBC hit show "The Voice" within days of the final hearing, and being out of state for 17 out 24 days in October 2012 with many questioning who's taking care of the boys and him lying about being able to maintain primary custody in the state. Usher even refused to pay his ex-wife's attorney fees, as it was his decision to bring forth the original action in seeking SOLE custody with Tameka's attorney being paid for by him. Plus, the singer's attorney's then argued that he had already paid $25,000 to Randy Kessler (Tameka's former attorney), and West (Tameka's current attorney) saying that they did so with no issues. Now that she requested another payment from Usher, he's refusing to pay up suggesting that the $25K should have been reallocated. Judge Tip-Lane is expected to rule on the motions this week. Get a damn job and stop begging! !